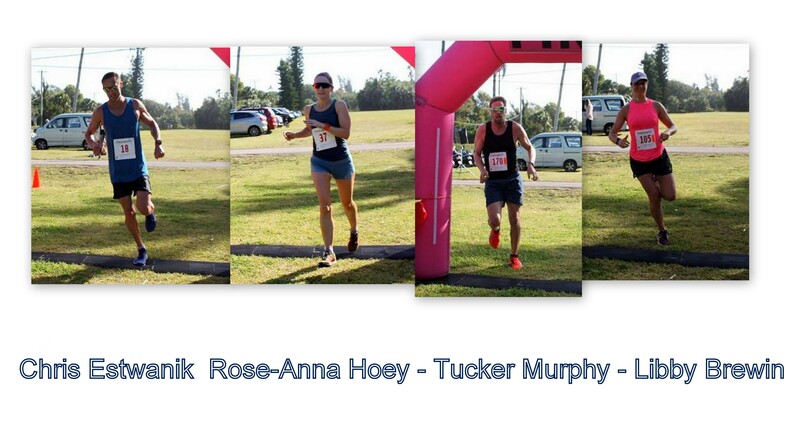 Chris Estwanik and Rose-Anna Hoey are the 2019 RenaissanceRe 10 Mile Challenge Male and Female Champions, while Tucker Murphy and Libby Brewin are the Male and Female RenaissanceRe 5 Mile Challenge Champions. Estwanik crossed the line in a time of 53:08, Sean Trott was second in a time of 57:38 and Tom Mills finished third stopping the clock in 1:01:04. Hoey was he 7th runner to cross the line she was clocked in a time of 1:05:51, Martina Olcheski-Bell was the second female finisher and 10th overall clocking 1:09:09 and finishing 18th overall was the third female finisher Laura Graham who clocked 1:12:17. Two-time Winter Olympian Murphy was clocked at 30.10 on his way to winning the 5 Mile Run, Tim Price was second with a time of 31:58 and Oslo Blackburne finished third clocking 33:24. Brewin was the 7th runner she was clocked at 35:23, Tammy Faulkenberry was the 2nd female finisher and 11th overall with a time of 38:30 and Jennifer Wilson was the third female finisher and 14th overall with a time of 39:36. Former Southern Methodist University standout and Bermudian Olympian Julian Fletcher participated in the World's largest Athlete Forum in International Olympic Committee history recently in Lausanne, Switzerland. At the conclusion of the event, several recommendations were made to the IOC Executive Board covering topics such as athletes' representation, funding and financial support, doping and mental health to name a few. - Following various requests for more support for athletes in their career transition from sport to business, the Athlete365 Business Accelerator was launched. It aims to support athletes with dual careers or who are transitioning from their athletic careers by helping them develop their business ideas by working with experts in the field. The announcement follows the signature of the Memorandum of Understanding signed on 6 October 2018, during the Olympism in Action Forum in Buenos Aires (Argentina), between the IOC and the Yunus Centre, chaired by Professor Muhammad Yunus, Nobel Peace Prize Laureate 2006. The Athlete365 Business Accelerator has been added to the programmes available to athletes through Olympic Solidarity. - The IAF had many very detailed questions about the protection of the clean athletes and the fight against doping. The participants called on the World Anti-Doping Agency (WADA), the IOC and the Olympic Movement to ensure a level playing field in terms of international testing and to improve education, prevention measures, research as well as to enhance the support for athletes at all levels of the anti-doping system. - The IAF called on WADA, governments, the NOCs, the IFs and the IOC to find ways to better target the enablers of doping, such as doctors, medical staff, coaches and officials, and to strongly sanction them in the most effective ways. - A full session was dedicated to mental health. The first draft of a toolkit being produced by the IOC Athletes’ Commission and the IOC Medical and Scientific Commission was discussed, and valuable feedback provided by the participants. The IOC is working on helping to raise more awareness around this topic. - Presentations on various IOC resources to protect and support the holistic well-being of athletes were given, such as the IOC Safeguarding Toolkit and initiatives on the prevention of competition manipulation and anti-corruption. - The Athletes’ Right and Responsibilities Declaration was discussed and fully supported with a practical “how to” session, focusing on the implementation of the Athletes’ Declaration across all Olympic Movement stakeholders. - The participants pledged to work with their respective sporting organizations to adopt and implement the document. - An IOC ambassador programme should be developed to inspire young people, promote the Olympic values and the power of sport in improving people’s lives around the world. - The IOC is to launch an Athlete365 app dedicated to athlete representatives: it should facilitate Athletes’ Commissions’ communication around the world, increasing the engagement and the exchanges among them. - The IOC to invite all athletes’ commission members from all NOCs, IFs, OCOGs and from all Olympic Movement stakeholders to every edition of the IAF. 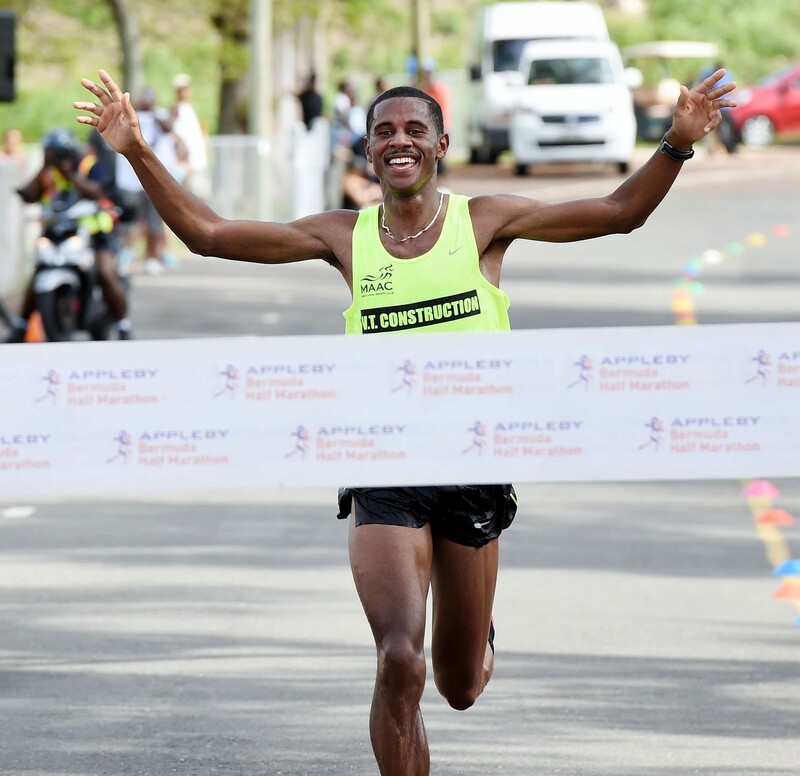 Sean Trott and Katrina Lindsay were crowned the Male and Female Champions of the 2019 PHC 1 Mile Run Road Race. Trott crossed the line in a time of 6:03, with Jason Williams second in 6:11 and Darryl Herrick finished third in 6:41. Lindsay was sixth overall with a time of 7:09, she finished one second ahead of Gayle Lindsay who was 7th overall clocking 7:10 and the 11th runner overall was the third female finisher Georgia Wharton who clocked 8:10. Lamont Marshall has announced that he intends to defend his Bermuda Day Half Marathon Derby title this year with the race coming out of the East End. Marshall states he is in the best shape of his life and feels as if he is running well. Marshall said, “I am in the Final preparations for this year’s Half Marathon Derby. I will be defending my title coming out of the East!!! I will heading off next week to the 125th Penn Relays to try and break 30 minutes for 10,000m”. Kenya’s Lawrence Cherono and Ethiopia’s Worknesh Degefa were the Men’s and Women’s winners of the 123rd Boston Marathon in circumstances that could not have been more different. After a grandstand sprint, Cherono crossed in 2:07.57, just two seconds ahead of Ethiopia’s 2015 winner Lelisa Desisa in what was the closest finish to the men’s race since 2000, when Kenya’s Elijah Lagat beat Ethiopia’s Gezahegne Abera - Olympic champion later that year - in a photo-finish after both clocked 2:09.47. Degefa earned her first major marathon victory in 2:23:31 after breaking away and running along for the last 20 miles of this 26.2 miles challenge, with Kenya’s Edma Kiplagat a distant second in 2:24:13, with home runner Jordan Hasay taking third place in 2:25:20. 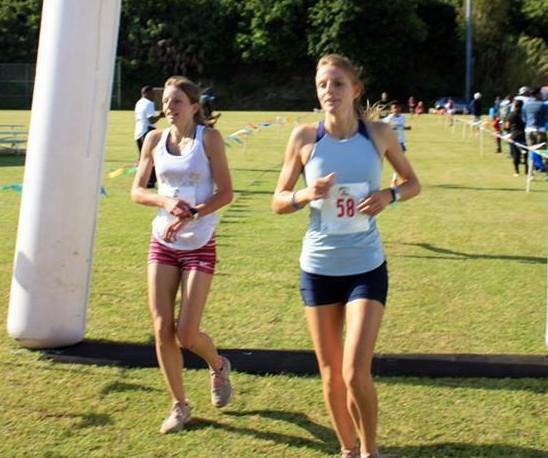 Only two athletes competed under the Bermuda Flag. Allison Petty finished 12,878th overall, she was the 4,180th female finisher and she was 2,777th in the Female 18-39 Age Group Category after clocking a time of 3:43.59. Petty reached the halfway stage in a time of 1:41.46. Anna Laura Hocking finished with a time of 3:52.45, she was clocked at 1:44.09 at the halfway stage. Hocking was 15, 149th overall, she was the 5,513th and she was 1,031st in the Female 40-44 Age Group Division.